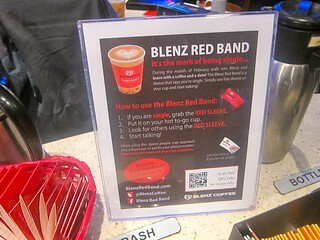 Blenz Red Band launch party in Yaletown on February 1, 2010. 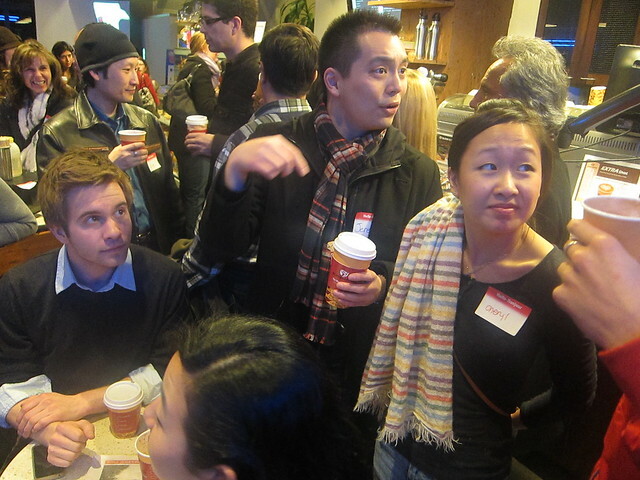 I trekked down to Yaletown after work to hit the singles event at Blenz. 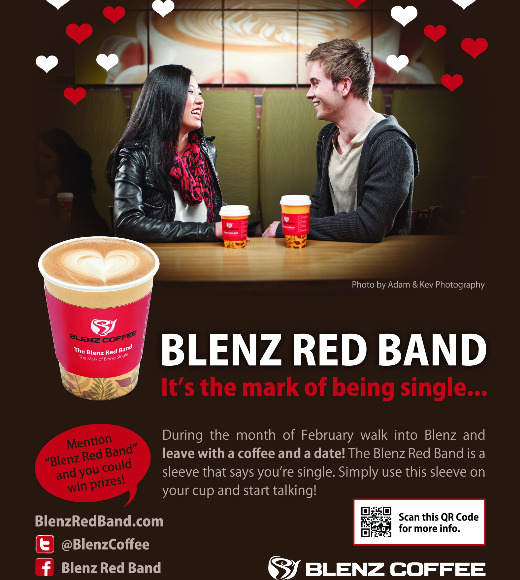 For the month of February, they are launching a special red band coffee cup sleeves to let singles know of each other's availability and hopefully play matchmaker. Their launch party was full of people. I doubt all of them were single. 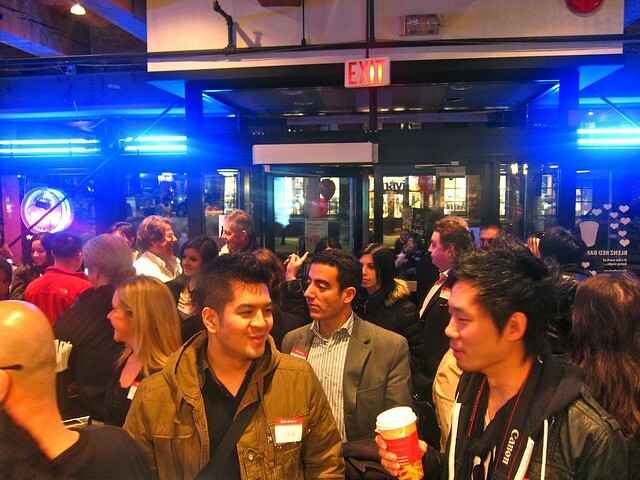 The free drinks, music, and mingling set a great atmosphere. 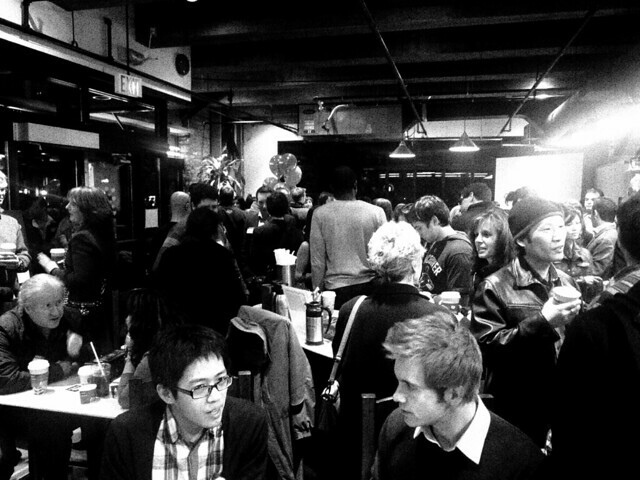 However, it got crowded pretty quickly and made it hard to maneover around. I think they should have cleared the room of some chairs and tables if possible. 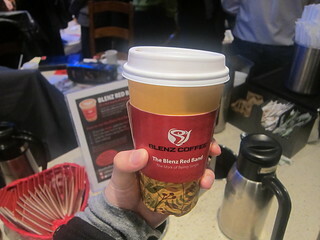 It was easy to get trapped in section of the coffee shop. 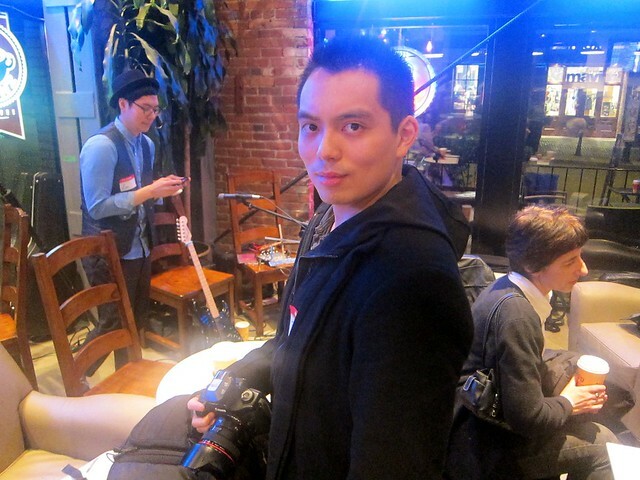 I saw some familiar faces including Krystle Sivorot, Cheryl Tan, Elizabeth Sarobhasa, Jason Sanders, the always goofy Jeremy Lim, and many others. Krystle and Jason were actually the models on the promotional poster. 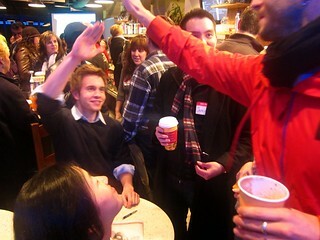 I liked the vibe of the night, but I don't know how focused it was for meeting new people in terms of dating. It felt like a regular tweetup with a particular theme or cause and one done well. I'm curious to see how the campaign goes on with the red bands. 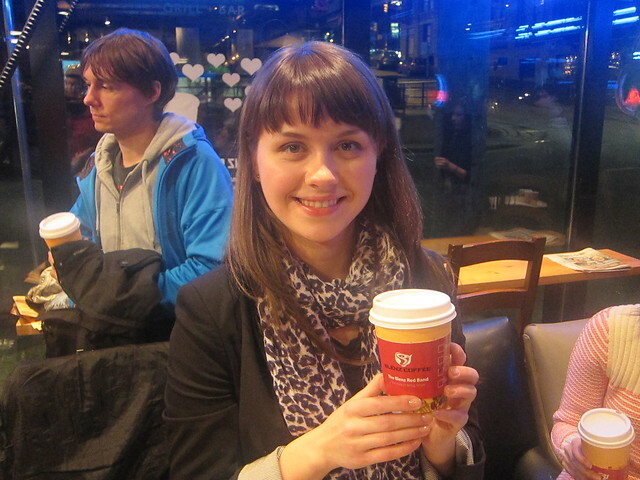 Kudos to News1130 web editor Yuliya Talmazan (above) who had the bright idea of the red band label for coffee cups and pitched the idea to Blenz. 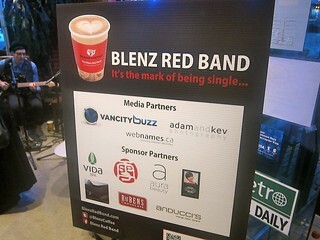 It was a fun launch and I truly wonder if singles will actually adopt the red band coffee label making any love matches. It's definitely an interesting idea and we shall see how it goes throughout the month of February.